On Feb.3, the Syrian Army and Hezbollah units broken a siege imposed by terrorist organizations in the towns of Nubbul and al-Zahraa. The siege is said to have lasted for 40 months. The success of the operation was grounded on the efficient cooperation between the Russian forces and the Syrian ground forces. Following the heavy clashes, the Syrian troops also seized the Ma’arasta-Masqan road in Northern Aleppo. The loyalist forces entered the village of Tayyibah (Teibah). The heavy between the SAA and ISIS are going there. 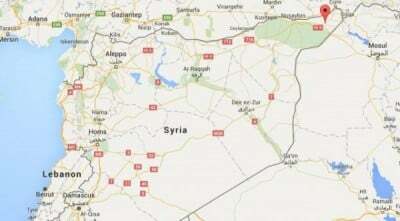 However, there are reports that the Syrian troops are pushing ISIS from the village. Meanwhile, a senior commander of the Fath al-Halab (Conquest of Aleppo) terrorists group, Major Yasser Abdel Rahim, fled the battle against the Syrian army in Northern Aleppo and took shelter in Turkey. This marks a significant fall of the militants’ morale in the province. The Russian Ministry of Defense has confirmed that one of their advisers to the Syrian army has been killed in ISIS shelling while fulfilling his duties with the Syrian army. It’s still unknown where the incident happened, nor the personality of the officer. He will receive an honor from the country, posthumously. In the ongoing conflict, Syria relies heavily on Russian military equipment. It’s confirmed, there is an unspecified number of military advisers are teaching Syrians how to use Russian weapons. According to the unconfirmed reports and experts’ conclusions, Russian military advisers could be involved in coordination of the Syrian artillery units and coordination between the Syrian ground forces and the Russian Air Force.